Following Hurricane Irma, Duke Energy invested $1 million in Florida’s hardest hit communities. As part of this initiative, FUTURES Foundation for Volusia County Schools was awarded a $5,000 Hurricane Irma Relief Grant from the Duke Energy Foundation to support Volusia County School District families displaced by the storm. District Homeless Liaison Jennifer Watley will be overseeing the distribution of the grant. “Duke Energy thanks the Volusia County School District’s team for making a difference in the lives of our most vulnerable students and families impacted by Hurricane Irma,” stated Elisha Gonzalez, Duke Energy Government and Community Relations Manager. “During and after Hurricane Irma, our customers across the state faced economic hardships through lost wages, home displacement and widespread devastation. As we begin to recover, these additional dollars will support communities and individual families in need,” stated Duke Energy Florida state President Harry Sideris. 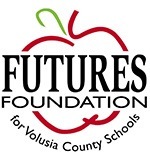 FUTURES Foundation is a 501(c)(3) non-profit, direct support organization founded in 1985 to support Volusia County Schools. The Foundation’s 32 member board of directors consists of Volusia County business and civic leaders who raise funds for a variety of educational and recognition programs within the school district. 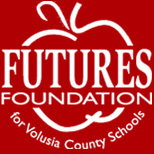 For more information about FUTURES Foundation, visit www.FUTURESVolusia.org or contact Executive Director Cynthia Ramirez at (386) 255-6475, ext. 50730. The Duke Energy Foundation provides philanthropic support to address the needs vital to the health of its communities. Annually, the Foundation funds more than $25 million in charitable grants, with a focus on education, environment, economic and workforce development, and community impact. Duke Energy has long been committed to supporting the communities where its customers and employees live and work, and will continue to build on this legacy. More information is available at www.duke-energy.com/foundation. Pictured, left to right, with the Duke Energy Foundation check are Volusia County Schools Homeless Liaison Jennifer Watley and Elisha Gonzalez, Duke Energy Government and Community Relations Manager.